What Happened on Monday at #NPC19? Attendees maintained their momentum in sessions and workshops and celebrated planning successes at the Awards Luncheon. The day's trending topics included inequity in transportation systems and zoning codes and how planning can improve housing affordability. Scroll through the feed to catch up. Check out Saturday, Sunday, and Tuesday happenings, too. NPC19’s exhibit hall closed with a bang. Attendees and exhibitors were able to kick back and relax after a busy first three days of the conference. People browsed, learned, and networked while exploring the hall before the final half day in San Francisco. Billed as an introduction to implementing APA’s recently adopted Equity Policy Guide, this interactive session lived up to its name — in more ways than one. First up were some of the planners engaging in game-changing, on-the-ground work in three different cities. In New York, Mitchell Silver is leading the department of parks in its charge to address public space inequities. Using data, maps, and — most importantly, he said — the individual human stories behind it all, the city is changing the very fabric of its communities, one vibrant, green park at a time. Speakers Mitchell Silver, New York City Department of Parks; Lynn Ross, Spirit for Change Consulting, LLC; MarySue Barrett, Chicago’s Metropolitan Planning Council; and Alejandro Sanchez-Lopez, City of Long Beach, California. Photo by Lindsay Nieman. The practical lessons offered by the speakers were invaluable during the latter half of the session, when the crowd was split into breakout groups. Attendees used the new policy guide, the speakers’ best practices, and their own experiences to tackle scenarios like climate change planning and stadium siting through an equitable lens. The session brought to life the principles laid out APA’s Equity Policy Guide, highlighting the rich resources and tools communities can leverage. “Plan to step up,” said MarySue Barret, president of Chicago’s Metropolitan Planning Council. Through a partnership with APA’s Community Planning Assistance Teams (CPAT) program, YEP! Youth Engagement Planning facilitated this year’s youth engagement workshop focusing on youth involvement in the planning process, knowledge sharing, and developing leadership skills in community development. During this interactive Monday session, Bernardo Ruiz, the CEO of Racing to Equity Consulting Group, and Anindita Mitra, the founding principal of CREA Affiliates, LLC, led attendees in some dynamic discussions about implicit bias and the history of racist zoning policies in the U.S.
Planning often operates under some dangerous myths, they explained, like the idea that every resident has a fair and equal shot at opportunity. “Research shows that where you live better anticipates your health outcome than your DNA,” Ruiz told the crowd. Opportunity is not evenly distributed across zip codes, he said, and that’s due to generations of racial and economic inequities. But the power of planning today means opportunity can be better generated in these long-neglected communities. “It’s our job to use planning as a vehicle for equity,” he said, distilling the session — and one of the central themes of NPC19 — into one simple statement. In a provocative deep-dive session moderated by Jack Robbins of FXCollaborative, panelists Woo S. Kim, AICP, from WRT, Tyler K. Cukar, AICP, from FXCollaborative, and Claudia Flores from San Francisco Planning explored the racist intent baked into the history of zoning laws in the United States. Although planners today may not intend to perpetuate inequity with zoning regulations, inclusion is not merely the absence of exclusion. It takes conscious effort to change the structures to produce equal outcomes. Really excited and motivated by the full house for our zoning, racial equity, and designing inclusive futures session at #npc19. Great presentations by my fellow panelists and strong active participation from the crowd! Race predicts community success across just about every metric — education, health, environment, jobs. Planners — and all government agencies — must move beyond services to disadvantaged communities and tackle the structures created by policies. Panelists concluded by emphasizing that planners should be focused more on the impacts and outcomes of zoning regulations, and less about the application. By starting with a vision of where a community wants to be, planners can work back to the best ways to accomplish goals that lead to better and more inclusive communities. APA co-organized the NPC19 Data Jam in partnership with SF Transit Riders, Code for America, and Code for San Francisco. Each year at the National Planning Conference, Data Jam offers an opportunity for planners to connect with local civic hackers for an intensive workshop where they explore problems using open data, technology, and design. This year, the group worked to use publicly available data to improve transit challenges in San Francisco. 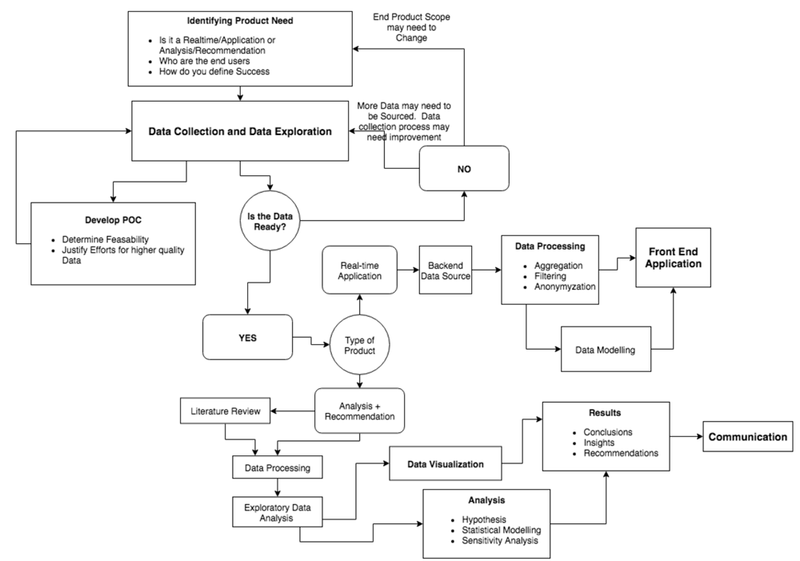 One group at the NPC19 Data Jam brainstormed a flow chart to define a framework on how to use the data planners have available to improve their communities. 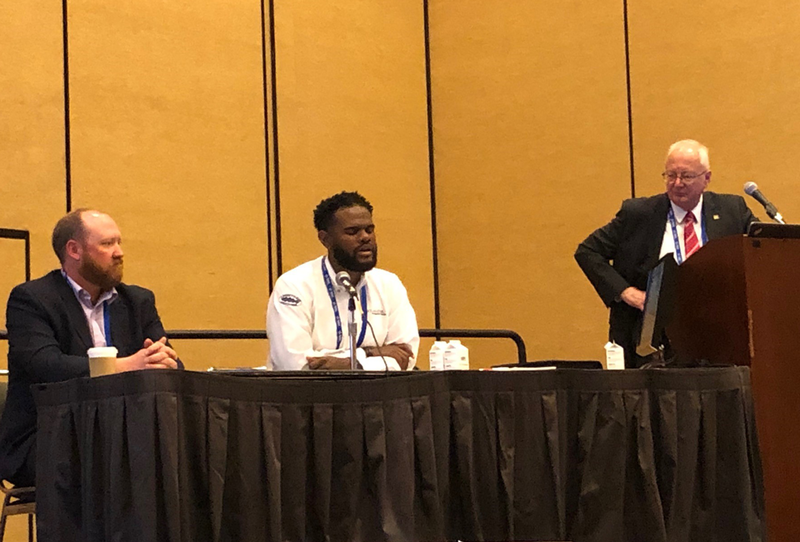 “Although the tools and processes are important to making transit work better, it’s the people and interactions that are important,” said Randall West, APA's manager of web and application development. Planners can reach out to their local civic hacking communities through organizations like Code for America. Starting the conversation is a key element to building the bridge between planners and technology experts. The accolades continued with recognition of the 20 National Planning Achievement recipients working to create healthier, more sustainable communities. The luncheon concluded with highlights of this year’s five National Planning Excellence recipients, all working to strengthen communities. Watch videos of this year’s excellence recipients. Daniel Parolek of Opticos Design in Berkeley, California, and Joe Zehnder of the City of Portland, Oregon, are among those mixing up housing norms as the needs and dynamics of households continue to shift across the country. At this Monday session, both Parolek and Zehnder offered “zoning hacks” for better addressing missing middle housing in their communities. An important part of this conversation is examining how these hacks are approached differently in suburban versus urban areas. A final takeaway: effective communication is crucial to advancing housing reform. This was exemplified by Zehnder’s experience with a community-driven coalition, featuring YIMBYs and homebuilders, that led to success in addressing missing middle housing in Portland. Planners nationwide are considering how their communities can be more resilient — resilient to climate change, reoccurring disaster events, social or economic stressors. As communities begin tackling the challenge of identifying their resiliency goals, they must simultaneously convince elected officials, local business leaders, and residents why investing in and planning for these events now will mitigate the negative effects later. To that end, panelists from the National Oceanic and Atmospheric Administration (NOAA) and the National Association of Counties (NACo) recommended a number of communications strategies designed to improve the way planners message and build consensus on actions that address community risks. Attendees had a chance to put their new knowledge to the test through games and role-playing exercises which provided a space for reflection, practice, and, yes, even some fun! 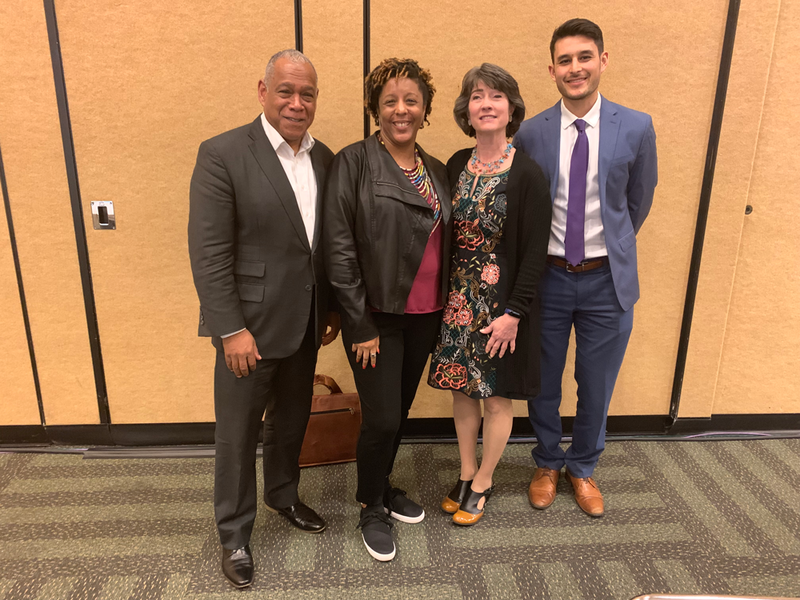 Staff from the City and County of San Francisco, the San Francisco Mayor’s Office of Housing and Development, and the Mission Economic Development Agency told NPC19 attendees about their successes in providing affordable housing in a city where, for affordable housing, $30,000–$70,000 is considered low income and $70,000–$120,000 is middle income. Workers in San Francisco, their average pay, and the housing they can afford. Photo by Ann Dillemuth. The city’s Affordable Housing Density Bonus Program (AHDBP), adopted in 2016, produced one 100 percent affordable project for seniors. With a development timeline spanning 2013 through 2019, the 1296 Shotwell project in the Mission District offers 80 percent of units affordable to those at or below 50 percent of the area minimum income, with 20 percent of the units set aside for homeless seniors. The city’s 2016’s Administrative Approval program delegates the discretion of the planning commission to the planning director with no public hearing required. This program resulted in a quick year-long process to approve the 1990 Folsom Street affordable housing development in the Mission. Half of the 143 units in this eight-story 100 percent affordable project are two- or three-bedroom family units, and the building also houses a 5,000-square-foot child care facility. California’s new SB 35 requires 90- or 180-day ministerial approval for affordable developments addressing municipal housing affordability targets that are currently not being met. Thus far seven projects representing 1,000 affordable units have been approved, successfully streamlining affordable housing project approvals. In this Monday session, speakers looked at the evidence that suggests women are excluded from access to active travel modes. Sherry Ryan of San Diego State University called for “gender mainstreaming” in planning and urban design in the United States. She noted that average U.S. cycling rates for women are 24 percent versus 49 percent in Germany and 55 percent in the Netherlands. She questioned whether “complete streets” are really complete if women’s needs are not being considered and accommodated. Bruce Appleyard, also of San Diego State University, shared his work building on his father Donald Appleyard’s Livable Streets work, which his father started the same year that he as a four-year-old was hit by a car in a busy Berkeley intersection. Appleyard finds that children driven everywhere see their environment as a series of disconnected routes to individual destinations, while those who walk and bike experience their neighborhoods as familiar, interconnected networks. 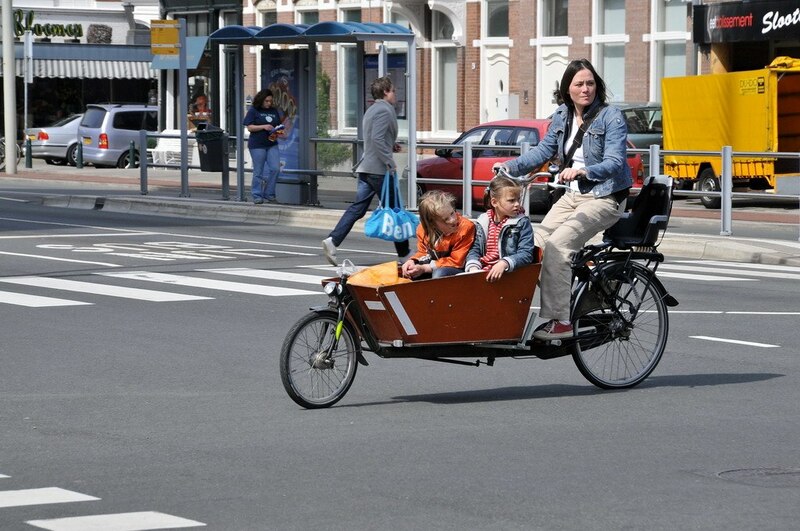 A woman transporting children on a cargo bike in the Netherlands. Photo by Ballenbak from Wikimedia (CC BY 2.0). Jana Schwartz, AICP, of Circulate San Diego, shared her research on cargo bikes as alternative transportation for women. She noted that women generally make more trips requiring transportation of goods or passengers than men, and they do more trip-chaining than men. Her survey of nine cargo bike-owning women showed that they used them to take children to school, run errands, and as a fun alternative to driving. Trip distance, time constraints, weather, and clothing are challenges to cargo-bike use, and having accommodating street infrastructure was key to their perceptions of safety. Monique Lopez, AICP, of Pueblo Planning emphasized the importance of creating safe spaces for women in sharing their stories and needs for transportation and mobility. She worked with Metro Los Angeles to look at transit ridership in Los Angeles, where the average annual income of transit riders is $17,000 and 51 percent of riders are women. Lopez used art-based storytelling workshops and pop-up sites at transit hubs to document women’s transit use challenges. Important questions arose: How can transit spaces better accommodate baggage and packages? How can transit spaces be safer with increased trip frequency and reliability? How can transit systems be made more comfortable through better interactions with transit operators? How can transit systems better accommodate those with special needs, especially for children with special needs? A little bit of trust goes a long way. And for the Bay Area, it’s the key to engagement with community residents. During this Monday session, panelists from local agencies discussed how they are using principles of The Community Based Transportation Plan and participatory budgeting to create equity-based goals and policies. The speakers were Judis Santos, Metropolitan Transportation Commission; Alyssa Lane, City of Vallejo; Bob Allen, Urban Habitat; and Christopher Kidd, San Francisco Municipal Transportation Agency. Although their ongoing projects are meant to address a variety of needs for their respective communities, each process has one very similar goal: establishing trust with residents and local partners by identifying barriers upfront and empowering them to make important decisions. Building trust takes time: Ensure your staff is reflective of the community to curb apprehension. Local partners know best: Best advisors for choosing the most effective mediums and messages that resonant with the marginalized community and identifying potential pitfalls. Do work before you ask for participation: Make sure your plans aren’t undoing the advocacy contributions of generations past. Be willing to let go of your agenda: Build flexibility into your plan so that it empowers the community and allows for intersectionality. Equity requires change: Connect with community leadership to define success and address any pertinent concerns from the community. How do you prepare communities with limited capacity — and widely disparate amounts of political will — for the rapidly changing environmental factors related to climate change? NPC19 attendees who made their way to Monday’s session learned planners in the Pine Tree State are helping rural communities move past polarizing nature of the climate debate and effectively plan of increased flooding events. First and foremost: “It’s important to meet cities where they are when planning for resiliency,” says Abbie Sherwin, with the Southern Main Planning Development Commission. Where one community might have more resources but a sharp divide between climate change believers and doubters, another may have limited municipal capacity but very strong citizen volunteers and willingness to act. Sherwin and her team created the Maine Coastal Resilience Checklist to help coastal communities within the state, including Vinalhaven (pop. 1,140) to South Portland (pop. 25,483), assess current levels of resiliency and establish priorities, goals, and actions for the future. Key to the checklist’s success is not the “yes” and “no” answer portion of the process, says Sherwin. Rather, it’s the facilitated discussion surrounding the questions that are key to building stakeholder buy-in around climate mitigation. Also critical to successful resiliency planning, according to fellow presenter Tora Johnson, with the University of Maine at Machias, is (1) providing accurate flooding projection data that communities trust, and (2) shaping the conversation around climate change in a way that empowers stakeholders rather than leading to intractability. Despite checklist’s and case studies’ focus on coastal Maine communities, session moderator Jessica Garrow, chair of the APA Small Town and Rural Planning Division, says the practical self-assessment tool and integrated framework, and other best practices discussed, are applicable in communities throughout the U.S. dealing with increased flooding events. As explained by Monday session moderator James Schwab, FAICP, drought knows no jurisdictional boundaries and is notoriously tricky to predict. In fact, just identifying the start and end of a drought event is difficult. Communities planning for drought must also prepare for multiple hazards and recognize that drought may lead to wildfires, which can eventually result in flooding and landslides. Compounding these challenges is the difficult and sometimes contentious process of pulling together the many stakeholder agencies and the public to plan for drought at the scale necessary to be effective. Jeffrey Henson, Darion Mayhorn, and Jim Schwab, FAICP, were the panelists. Photo by Karen Kazmierczak. Henson provided case studies from two drought management plan processes in Nebraska that used a “tournament” competition for data collection and stakeholder engagement. This activity brought together stakeholders representing 30-40 agencies, organizations, and government bodies to create a drought management plan. By using a hypothetical scenario, the intensity of emotions surrounding water rights and usage was reduced, allowing stakeholders that may not have previously interacted to earn a greater understanding of the impact of drought and identify innovative tools available to mitigate it. But how can regions pay for the recommendations of a drought management plan, especially when the plan crosses many jurisdictions? Darion Mayhorn of the U.S. Bureau of Reclamation shared examples that illustrate the process for developing a drought contingency plan. The Bureau’s WaterSMART drought response program includes both technical assistance and 50/50 cost share funding to non-federal partners looking to implement infrastructure and other components of their drought contingency plans. Throughout the many case studies presented in this session, the most common and powerful tool available to planners was in bringing stakeholders and the public together to collaboratively develop a plan that meets the needs of all those affected by drought. 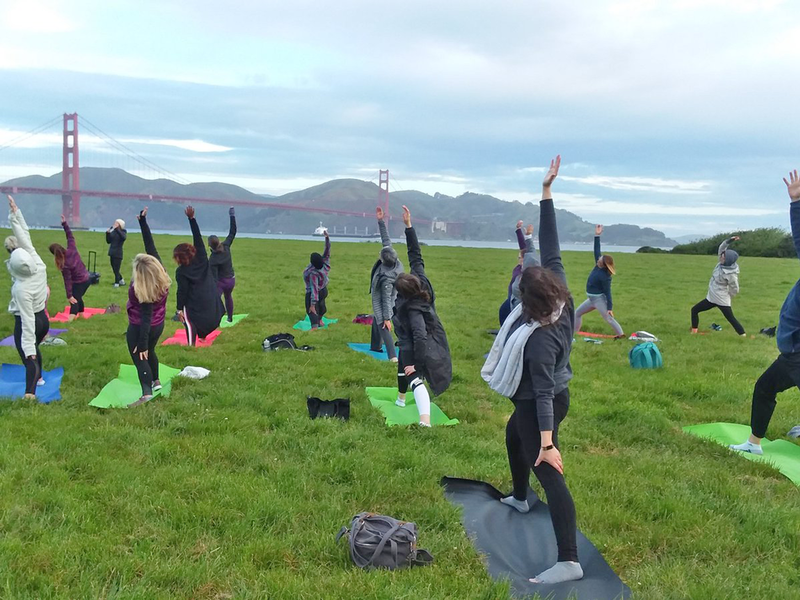 Planners rose early again on Monday for sunrise yoga at the Presidio. "Planners are warriors in communities AND on the yoga mat," tweeted APA Public Affairs Manager Emily Pasi. "Shout out to @APA_CANorthern for helping me find my zen in a beautiful public space." Yoga at the Presidio. Photo by Emily Pasi. Top image: At the "Put Your Career on the Fast Track" session, attendees learned more about the AICP Candidate Pilot Program. APA photo by The Photo Group.